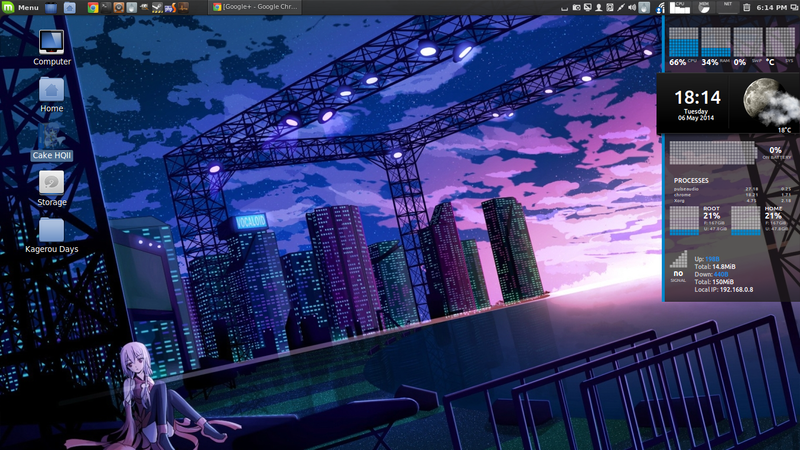 [Linux Mint 16] New dark theme for my desktop! I've switched back to Linux Mint 16 after a month of hiatus from my desktop/laptop. This time I have gone for a more darker and sleeker feel to the overall interface. I mashed together different theme to make it look more natural and flawless. 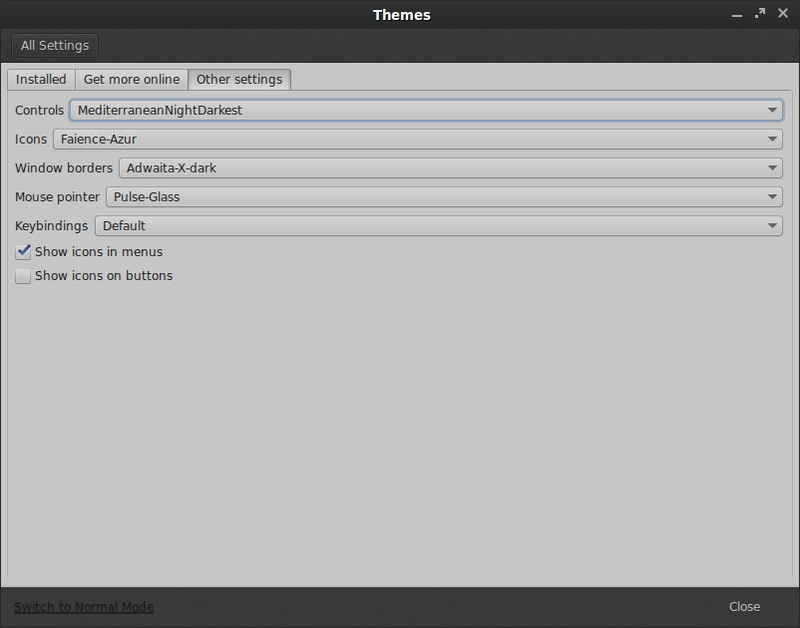 You can change all your settings in the Themes section in Settings. If things go awry and you want to refresh your Cinnamon interface, press Alt + F2 and type r.
You can also click on Restore default theme in 'Installed' themes to reset everything.